1. 365 Blog Topic Ideas: For The Lifestyle Blogger Who Has Nothing to Write About - because every blogger needs one book like this! So do I. 2.Friends - who doesn't like Friends? I don't care if I've seen them 12548795563 times, I need to have all seasons and show it to my future children and grandchildren. Because, you know... Our generation was pretty cool, right? 3.Origins Clear Improvement Active Charcoal Mask to Clear Pores - oh, I have read so many good reviews about this bad boy. I would love to find it in my stocking! 4. Urban Decay Naked Skin Weightless Complete Coverage Concealer - if Jaclyn Hill says it's her favorite concealer EVER, I need to have one too! 5.NYX Concealer Wand - because I have never tried any of NYX products and I've heard they are amazing. 6.Crest 3D Whitestrips Advanced Vivid Glamorous White Teeth Whitening - I NEED THIS! Tons of excellent reviews, so it must to be working. 7.Josie Maran 100 percent Pure Argan Oil - oh this oil... It's a miracle to your skin. Trust me! 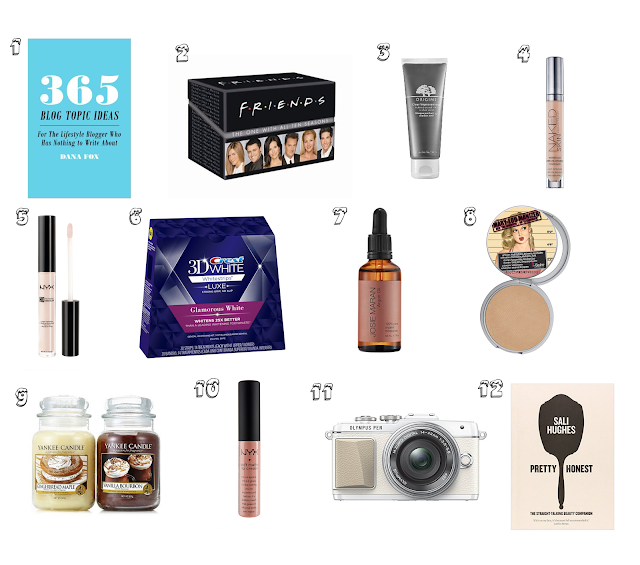 8.The Balm Mary lou manizer Highlighter shadow shimmer - errrm... Because again, all the beauty gurus loves it! 9. 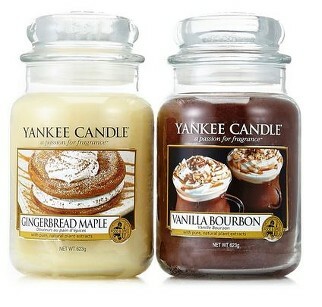 Yankee Candle Set of 2 Autumn Trend Collection Large Jars - it is never enough of candles in my house! And this duo sounds incredible for festive season. 10.NYX Soft Matte lip cream - because, read number 5. 11.Olympus PEN E-PL7 Compact System Camera - every blogger's/vlogger's dream! I am pretty sure I will get my hands on it sooner or later! 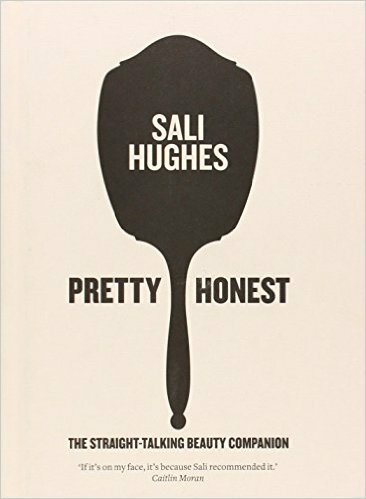 12.Pretty Honest: The Straight-Talking Beauty Companion - love books and this one sounds amazing. I hope you enjoyed my short list and might found it useful. Taip norėčiau, kad dažniau blogintum:)) Gal kitais metais? Some Great picks you have there, I have the UD concealer on my wishlist at the moment.